This ca. 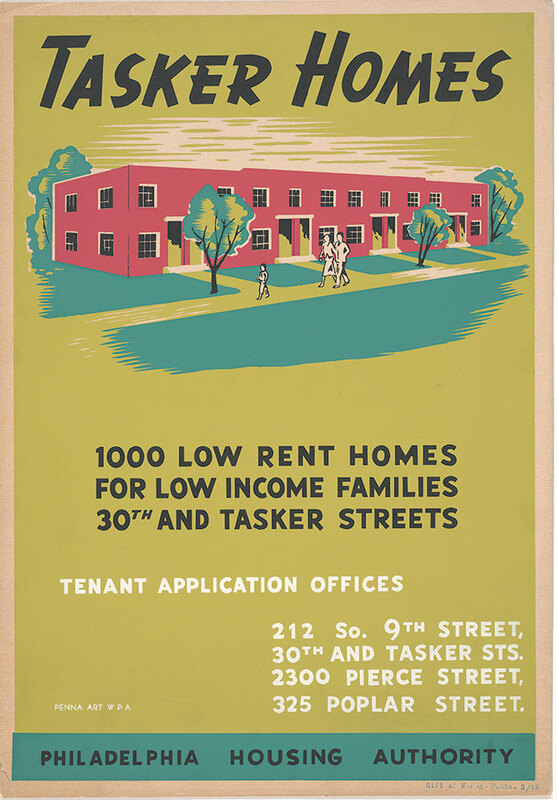 1940 WPA poster was created for the purpose of publicizing the Tasker Homes housing project, high-density housing for low income families in the area of 30th & Tasker Streets. Ultimately, neighborhood disinvestment led to economic decline in the area, due in part to discriminatory lending practices. By 2004, the area had succumbed to widespread abandonment and crime, which led to the Tasker Homes buildings being demolished and replaced with a low-density public housing development named Grays Ferry Estates.